Good morning! Excited this morning to be hopping along with a fabulous line-up to celebrate Pinkfresh Studio's 4th Birthday! There are a lot of amazing crafters along the hop - and prizes at every stop! Make sure and leave a comment here before you leave for a chance to win a $40 gift certificate to the Pinkfresh Store - woohoo!!! You should have arrived here from the amazing Lea Lawson - if not, hop on over to the Pinkfresh Blog to start at the very beginning! 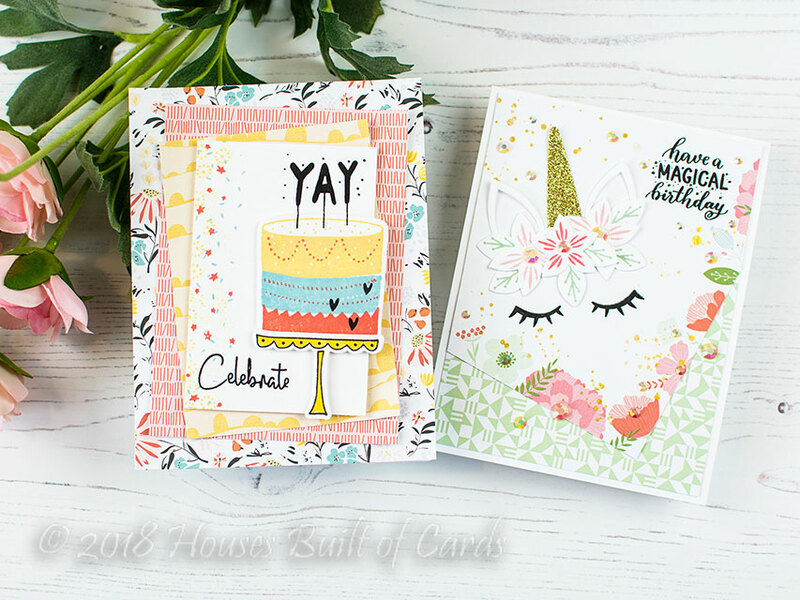 I have two fun birthday cards to share today using some gorgeous Pinkfresh Studios pattern paper - as well as stamps and dies! My first card uses tons of yummy paper from the Let Your Heart Decide 6x6 paper pad, paired up with the fun Sweet Treats Stamp set. I coordinated the colors of my stamping to the colors in the paper to make it all tie together. I stamped the layers of the cake with 3 colors of Simon Says Stamp Ink - Duckling, Coral Reef, and Winter Sky - and the cake plate with Copic friendly black ink. I then colored it in with a coordinating Copic marker, and die cut both with the coordinating Sweet Treats Dies. 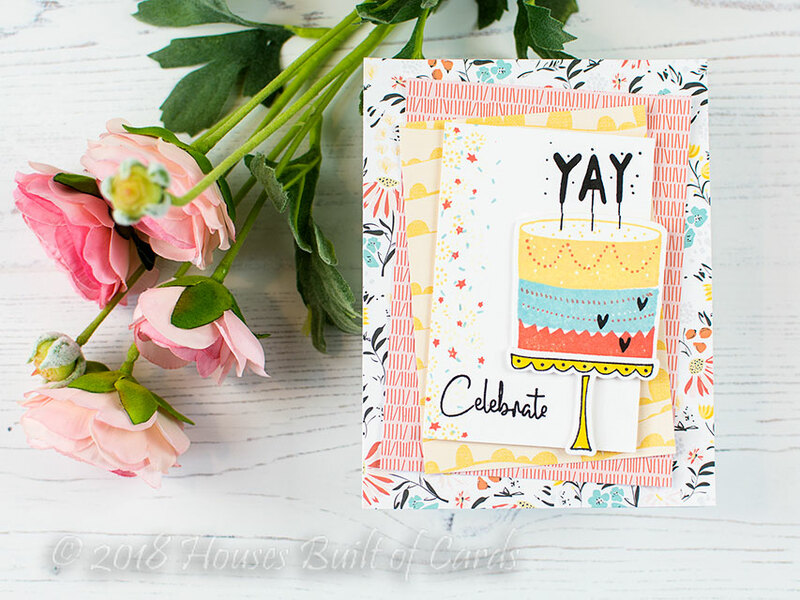 I added an assortment of the small elements along the side of my white cardstock panel for colorful "sprinkles", and then used my MISTI to stamp and line up the "YAY" sentiment at the top. I stamped it with the cake in place, then removed it and stamped again so I could mount my cake with foam adhesive over the top and have everything line up perfectly. Finally, I adhered the layers of pattern paper at wonky angles, and then used my fingers to curl up the edges for dimension. Next up, I couldn't resist using the adorable Magical Unicorn set again - seriously so adorable! For this card, I used pattern paper from the gorgeous Be You 6x6 Paper pad. One of the papers had a lovely floral border around the outer edge. I layered that at an angle over the other pattern paper, and took advantage of that design element as a border for that panel, then added the die cut Magical Unicorn elements and stamped eyes and sentiment. I die cut the horn from gold glitter cardstock, and the ears, flowers, and leaves from white cardstock. I stamped the centers of the flowers and leaves with ink coordinated (again) to the pattern paper - this time Twirling Tutu, Rose Apple, and Dusty Sage. Finished off with some gold splatters with my Starry Colors Palette, and some gorgeous Buttercream Jewels from Pretty Pink Posh! What do you think - do you have a favorite from these two cards?!?!? Which would you like to receive on your birthday? Each stop along the hop will have a giveaway - all comments must be left by Monday, April 9th, at 6 AM PST. Winners will be posted on the Pinkfresh Blog by 12:30 PM PST that same day. Leave a comment here for a chance to win a $40 Gift Certificate to Pinkfresh Studio - there is also a $100 Gift Certificate up for grabs on the Pinkfresh Blog. Check out Instagram for even more chance to win! Heather, both of your cards are awesome! LOVE them! Cute cards. I like your choice of papers. My fave is the one with the cake. Love the tropical colors! That unicorn is just too cute! I adore these cards. That unicorn is so much fun and I know some little girls that would be tickled to receive cards like that! Love your cake card. Your choice of patterned papers works perfectly. Thanks for sharing. That unicorn is my favorite!!! Love the glitter as well! Adorable cards, there just too sweet ..
Love your cards! 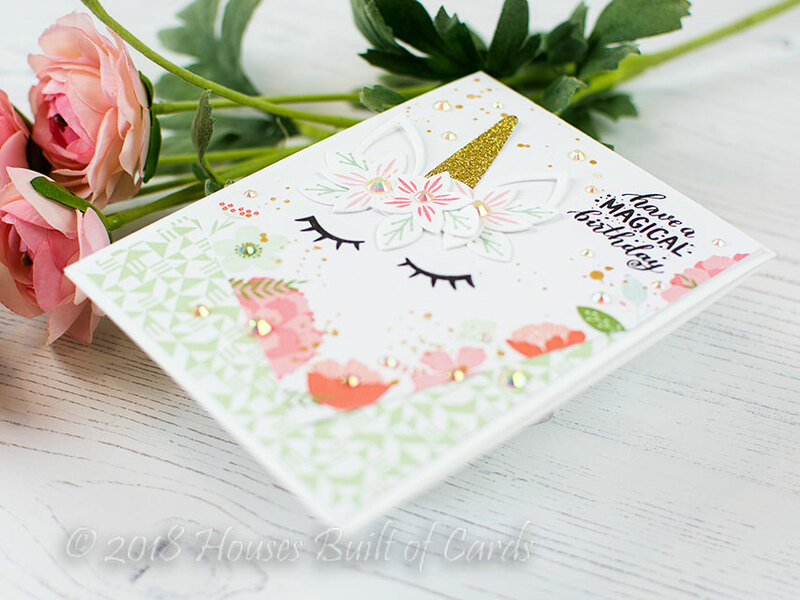 Something magical in your unicorn card! Your cards are so colorful which I really do like. Thanks for sharing and have a wonderful week. Terrific use of patterned papers on both cards. So inspiring! 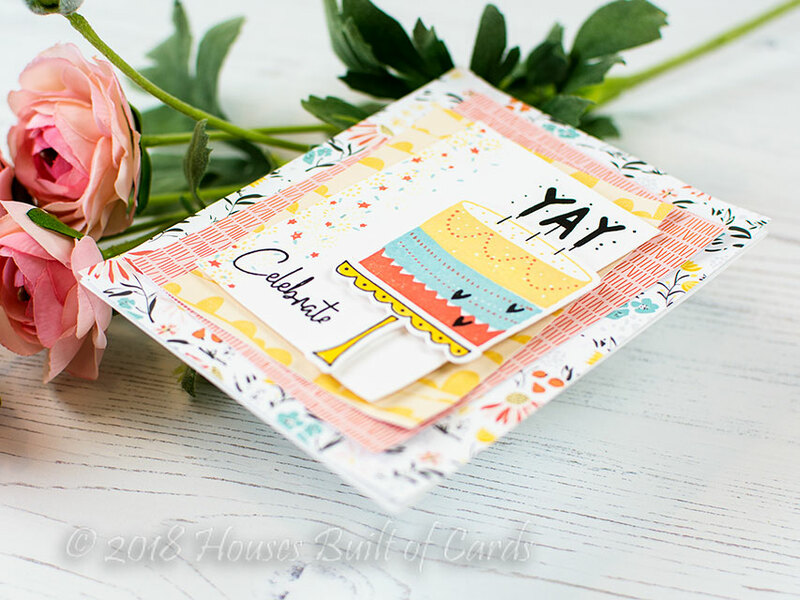 What fun colorful celebration cards! Your two cards are really beautiful ! The unicorn card is really cute, I love the soft colors perfect for with a sweet, lovely unicorn ! Your cards are gorgeous, lovely colors, lovely papers. 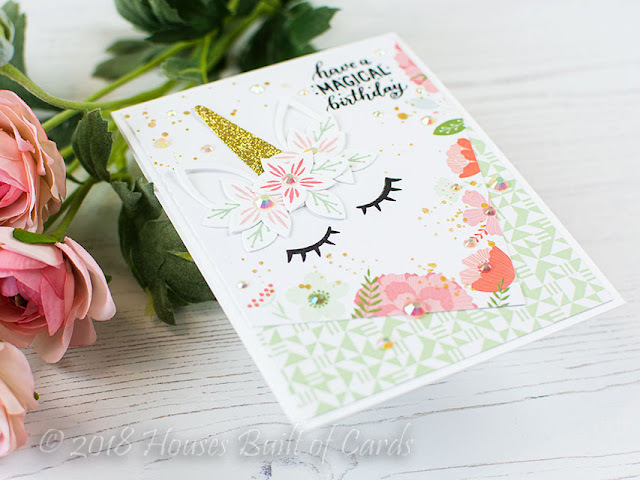 The unicorn card reminds me of a bunny card I created. Thanks for sharing and for a chance to win in this hop. Very cute cards. The unicorn card is very sweet. Both of your cards say "FUN!". I adore both of your cards, so playful and sweet! I loved both of your cards. Thank you for sharing. I love, LOVE these cards! The colors make me happy and I love your mix of colors! Stunning. I love the unicorn ❤. In love with both!!!! How can you go wrong with unicorns and cake!!! Love them both, i cant choose! Great job...so pretty. Fun cards. I love that unicorn. Wow Heather so pretty ca do. So amazing.creation. Both are wonderful but I especially love the cake design. 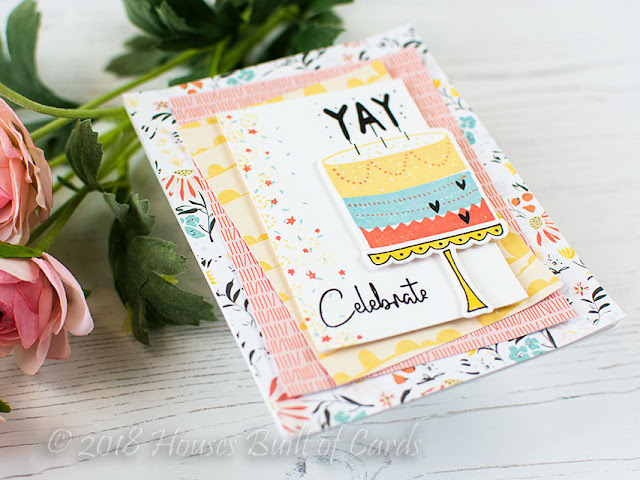 Love the layered papers and the brightly colored cake! I love unicorns. Great job on your cards. Thanks for sharing. Soft and pretty cards, love the color combo and the layers! Gorgeous cards! They have such a light, airy and whimsical feel - lovely! Omg! I love the unicorn! And your use of different pattern papers in the first card inspired me to grab my stash of scraps! Love your superpositions. These cards inspired me a lot. Your cards are just so sweet!!! Both of these cards make me so happy! both are so cute and fun! Super cute cards! thank you for sharing. 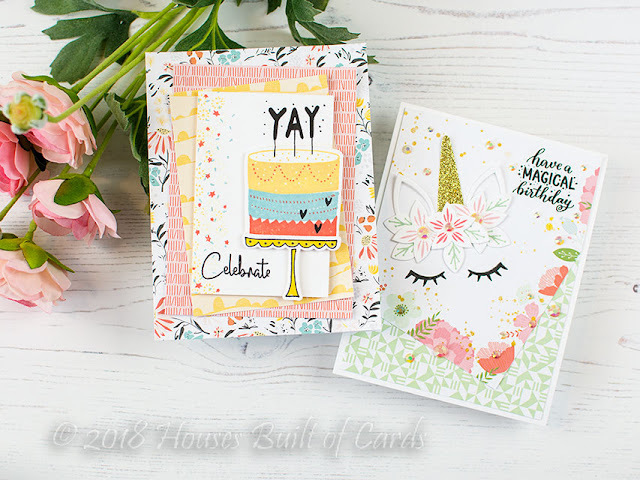 Such pretty cards - love the layers and soft colors. Gorgeous color choices - right down to the gold sparkle! Love all the pattern papers stacked up and your unicorn design is gorgeous! Heather, your cards are really cute. I love how you put those different layers of paper on the first card...very creative! The other card is as unique as a unicorn...love it! I am so crushing on your unicorn card! Amazing! What fabulous cards! I love all the layers on the first and of course everyone loves a unicorn. It is gorgeous! Awesome cards. Love that unicorn! Your cards are great~so unique, and I love the beautiful colors! Fabulous cards! Love the cake and that gorgeous unicorn! Magical indeed! Both cards are so beautiful and they make me want to buy the paper packs from Pinkfresh ! Awesome cards! I love the layers of pattern paper. I would like either card for my birthday! Such super cute cards. Love them!! Hermosos diseños la verdad es que es muy difícil escoger entre ambos pero me quedo con el unicornio es precioso !!! The cake card is so unique with the many dimension. Such fun and cute cards! Thank you for sharing! What a fun layering of papers on your cards, both are Awesome! Such adorable cards! Love them both! If that’s not just the cutest thing I’ve ever seen! Such adorable cards Heather! Thanks for sharing! 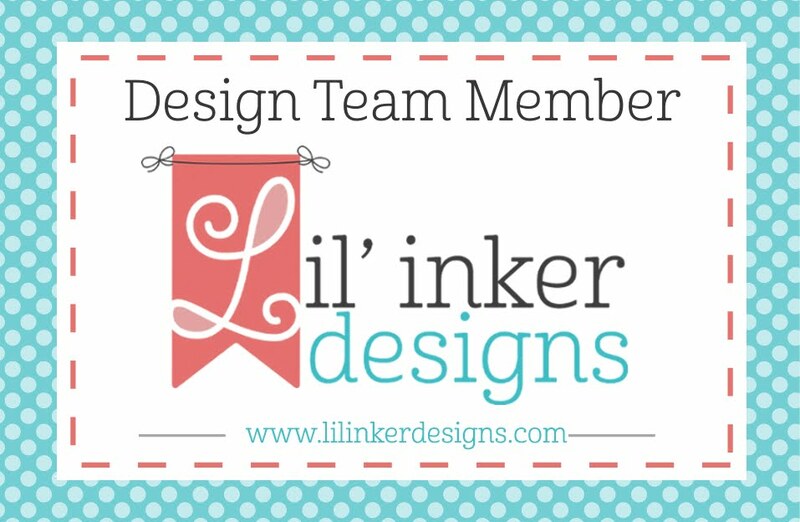 So many talented cardmakers on this team! These are gorgeous! So cute!!! Thank you for sharing!!!! Unicorn and YaY birhtday candles. Need to make me some cards like this. I am seeing unicorns all over Instagram. Oh my goodness!!! Your cards are totally cute!!! Love the colors and all the details! Great work!!! Love, love, love! Two of my favorite new sets and you creations are so beautiful. Love the colors in your cards. Thanks for sharing! Your cards are so pretty and happy! Both of these were nicely done! Both birthday cards are lovely! Such beautiful colors! Love them both! Such lovely creations! Have a blessed day! Love both cards, but the unicorn one is so cool! Happy B.day PFS!! Cake AND unicorns?? Perfect combo for two cards, Heather! Love the layering of paper and the colors go so well together. I love how colorful your cards are! I'm a big fan of patterned paper. Both cards are delightful but if I had to pick a favorite, it would be the unicorn. I mean, really, who doesn't love a sparkly unicorn?! Great cards! Loving the mix of papers you used on these! Unicorns just make me smile! That unicorn set!! What a lovely card. 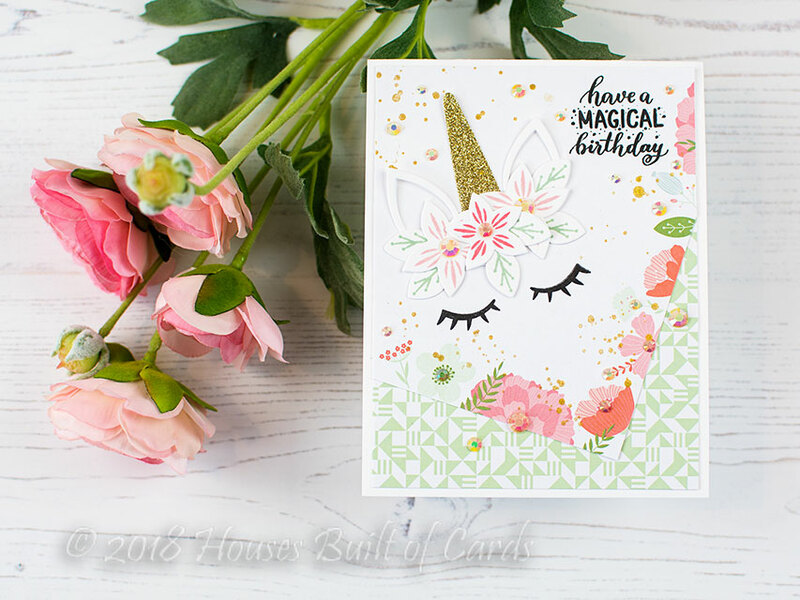 How fun to do birthday cards for Pinkfresh's birthday! I love all the layers of patterned paper. I'm always impressed with people who can layer paper like that without it clashing. And, of course, who doesn't love a unicorn? 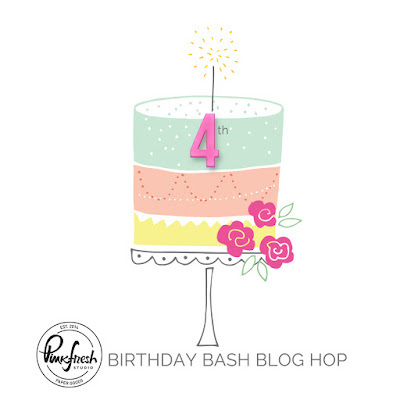 Thanks for sharing with us and participating in this bloghop! Fabulous cards!! I love their stamps and papers!! Sweet treats and magical unicorn, check, already on my wishlist!!! 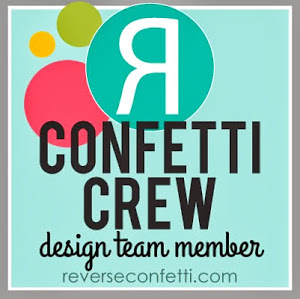 I just love your fun cards and color themes, very playful! Love both your cards! Especially impressing is the way you put the mix of the pattern paper together on the birthday card. Love it! 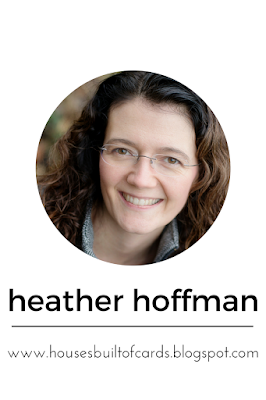 Oh Heather, I love the fun, whimsical feel of your cards. The images are adorable, very well done as ever! Love the Magical Unicorn card. It would be so beautiful for a little girls birthday card and layout. Thanks for the inspiration. Love these gorgeous cards with the beautiful papers. These are so fun! I am in love with that adorable unicorn!! Wow, fabulous card ! Thanks for sharing ! Super cute cards! I've seen the unicorn set used before but not like this! A new take is refreshing! Cute cards, especially loving the unicorn one!!! That’s the perfect pair of cards !! The cards are adorable. I did a unicorn party for my daughter with a similar look. Thanks for this chance. Have a great evening! I just adore both cards....and that unicorn has stolen my heart!! Fantastic. I love the patterned paper.